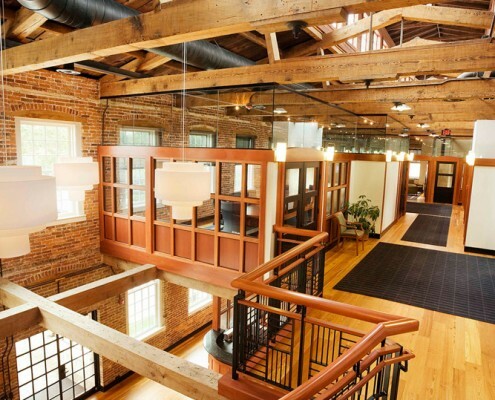 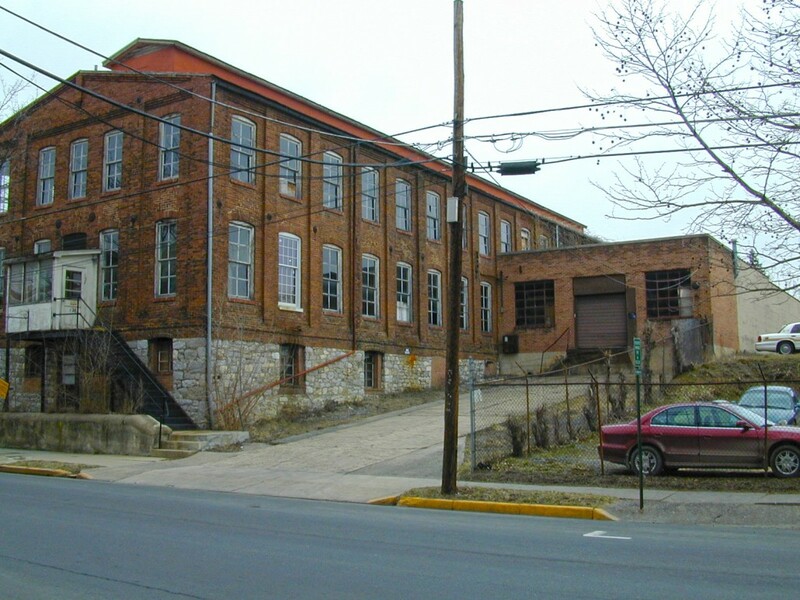 The circa 1895 Lewis Jones knitting mill in downtown Winchester retains its timber frame interior, stone foundation and masonry exterior walls. 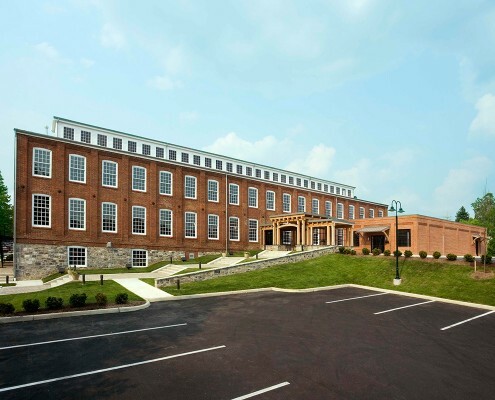 Over time, the building evolved through numerous additions, to its current 30,000 square feet. 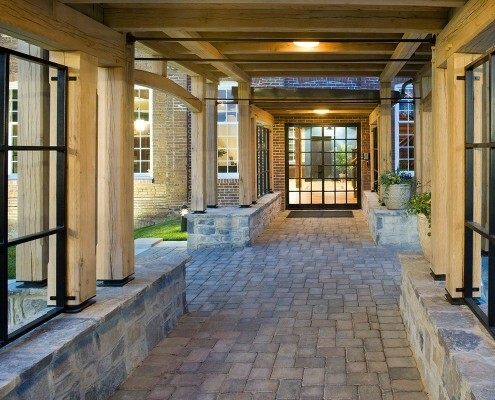 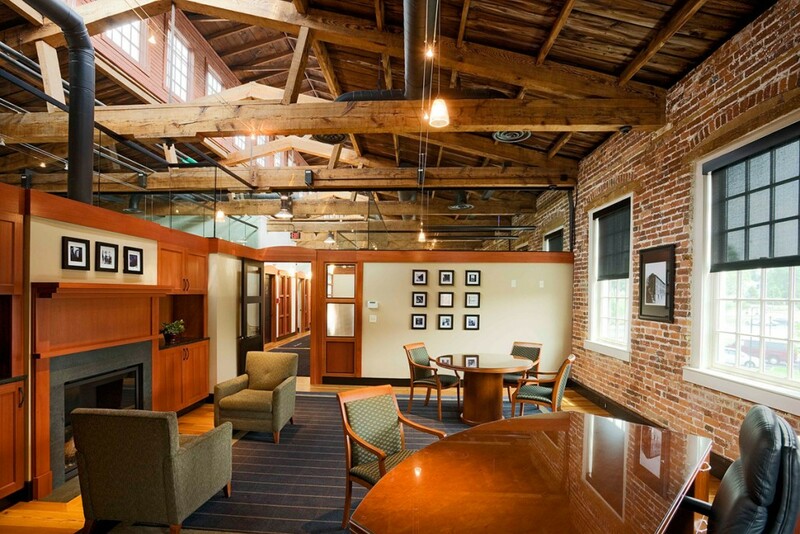 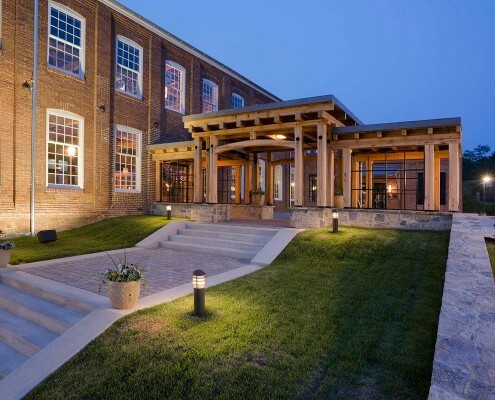 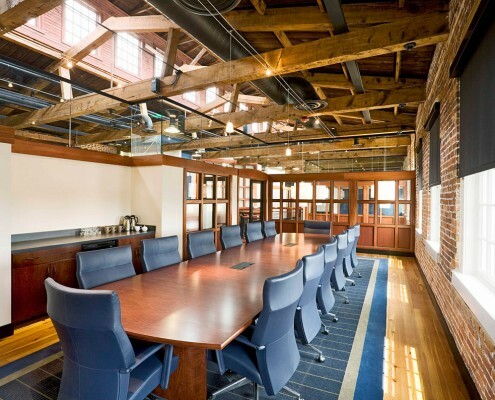 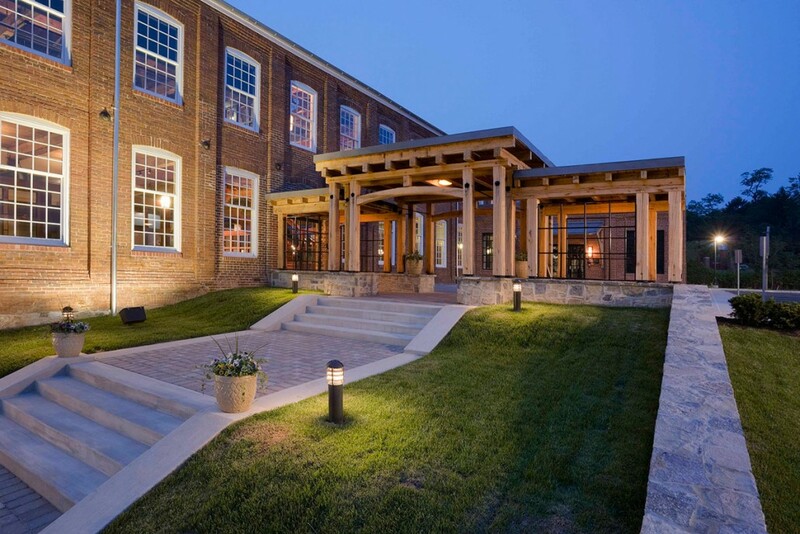 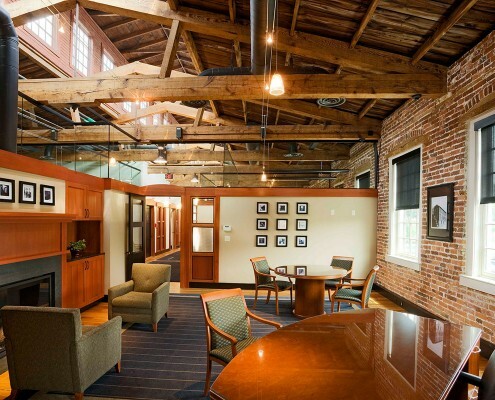 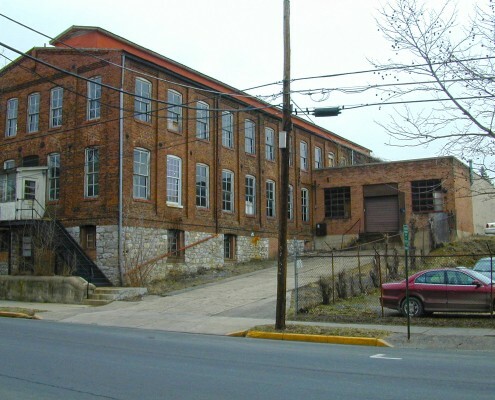 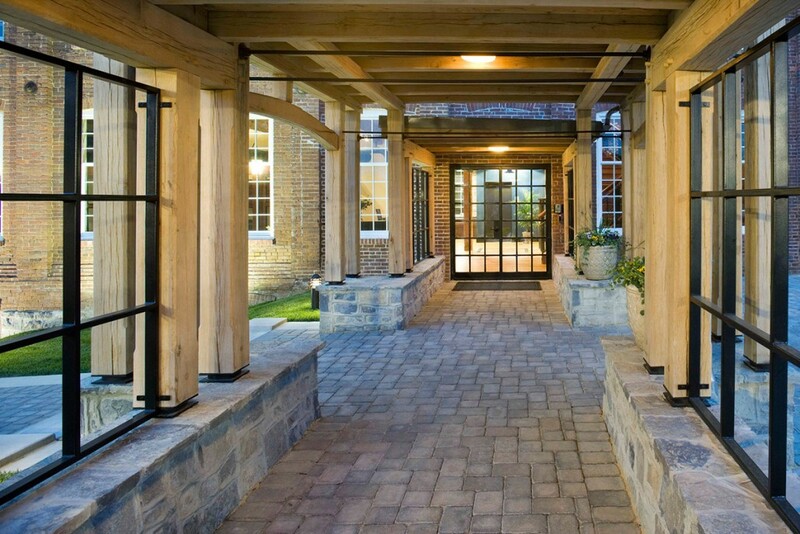 Frazier Associates worked with OakCrest Companies to rehabilitate the mill into the company’s corporate headquarters. 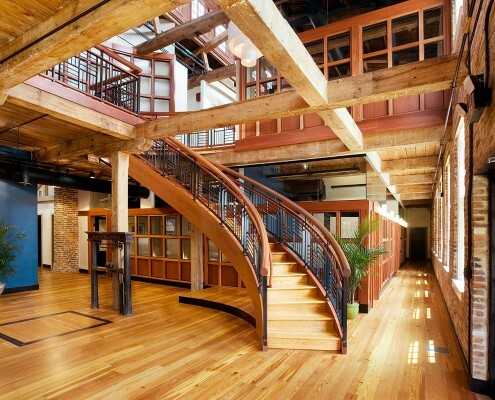 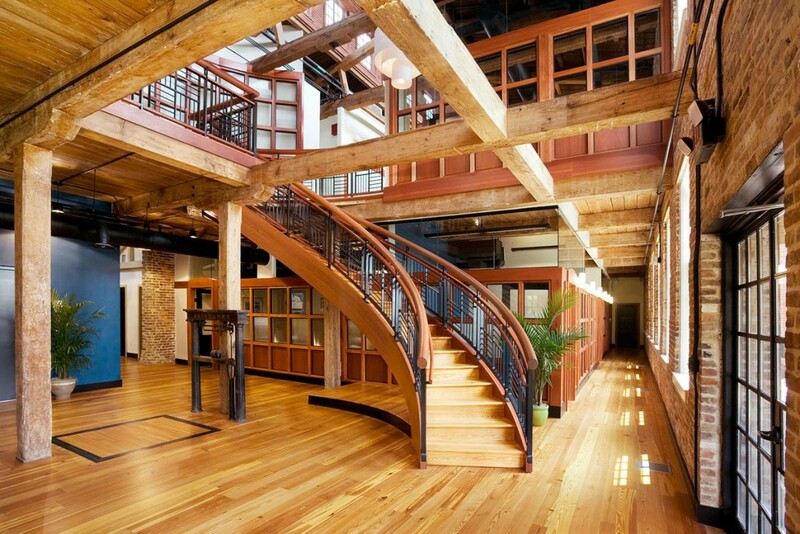 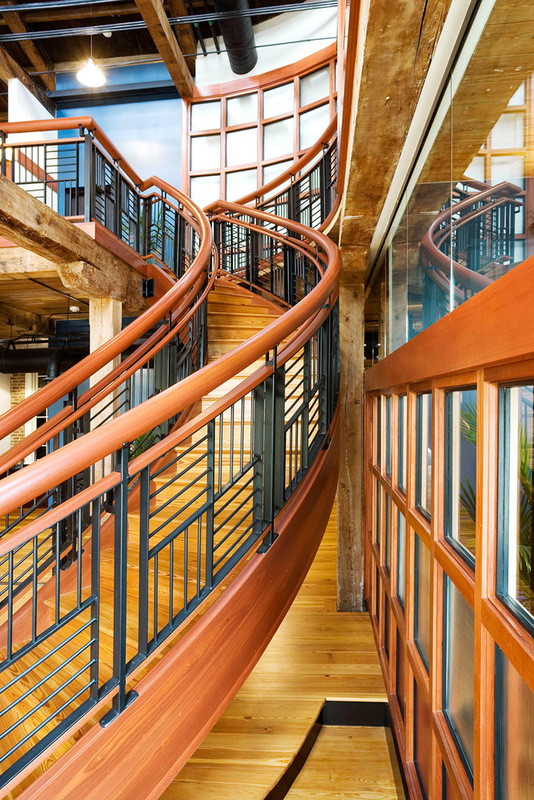 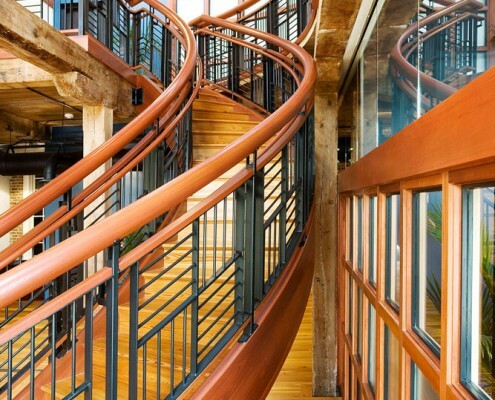 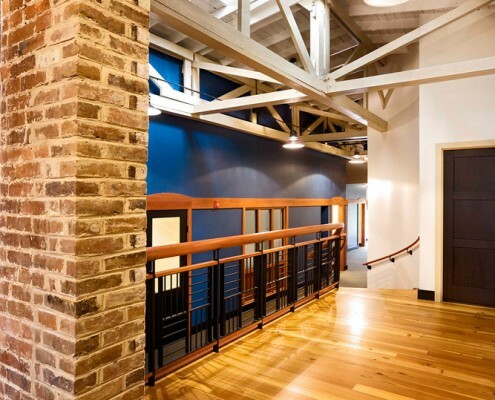 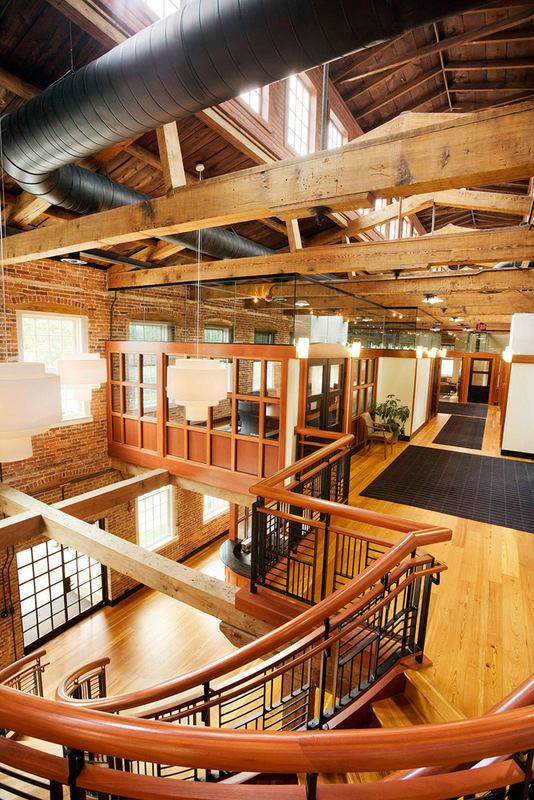 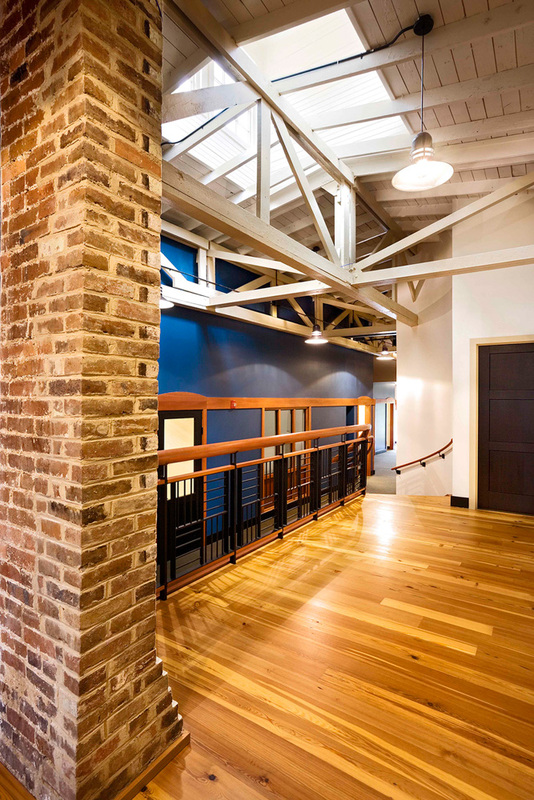 Exposed walls and beams preserve the interior’s industrial character, while new partial walls and a sweeping staircase create a series of dynamic spaces with open views throughout the building. 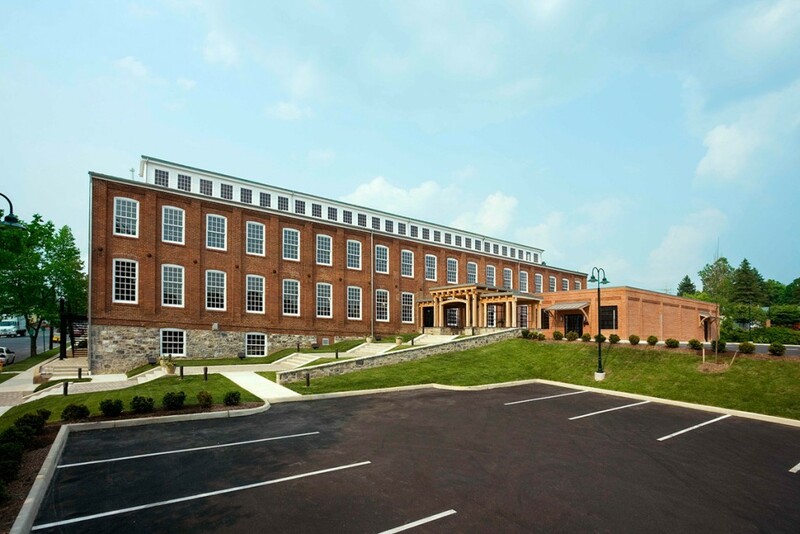 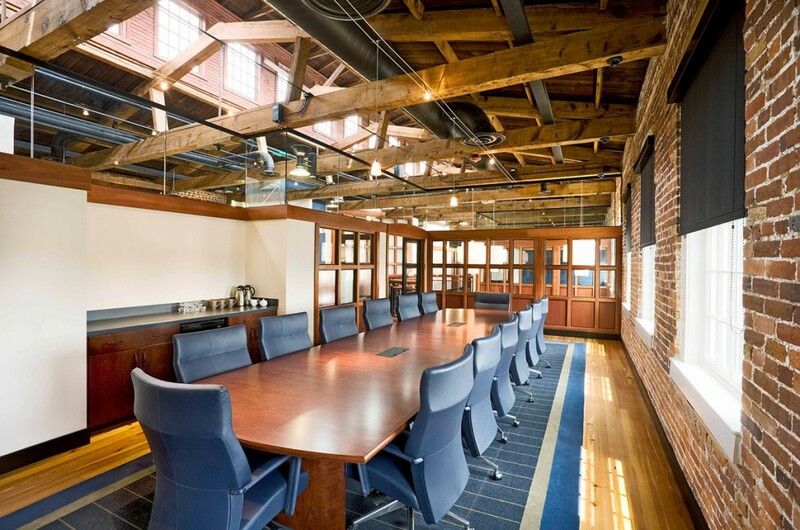 Frazier Associates provided full architectural services and assistance with the historic rehabilitation tax credit applications for the financing part of this project. The project was recognized by The Virginia Downtown Development Association with an Award of Excellence, the Valley Conservation Council with a Better Models for Development Award, and the Winchester Economic Development Authority award for Excellence in Economic Redevelopment.